This mod requires the Loader and Template Extension to run. Pull. With a single jerking motion of her hand, Mag Prime draws all enemies in a cone towards her at a deadly velocity, ragdolling them and damaging them. Magnetize. A field of magnetic energy is created around the target. All enemies and projectiles in the range are drawn to the center of the field. All enemies in the field take more damage, and the total damage dealt within the bubble is applied as a DoT to enemies inside. If the original target dies, the field will explode when its duration ends. Polarize. Mag (Prime) unleases a wave of energy that expands outward, dissipating enemy shields or stripping their armor, depending on which they have. Stripped armor leaves behind fragments which Magnetize can make use of as weapons. This ability also restores Mag's shields and those of her allies. Crush. With a total of 3 deft hand movements, Mag Prime "magnetizes the bones of nearby enemies, causing them to collapse upon themselves." This ticks 3 times over the duration of the cast, causing damage to all enemies caught in the range and ragdolling them. Enemies who enter the range after the initial cast will be caught by the second and third ticks (or just the third if entering after the third tick). Greedy Pull, An augment for Pull which causes it to also pull items in range towards Mag Prime. This used to apply for loot for all team members, but has since been altered to only apply for Mag. Shield Transference, which converts a percentage of shields depleted by Polarize to Overshields for Mag Prime. This can give her up to an extra 1200 Shield Points. This augment used to have no cap and simply formed an ovoid around Mag Prime, which could render her near-immortal unless an enemy shot one of her exposed limbs (I believe her feet were outside the bubble as was her hand when reviving an ally). When Overshields were introduced, this augment was changed to grant Mag Prime Overshields instead of the bubble. Fracturing Crush, which causes all enemies who survive Crush to be temporarily immobilized and to have their armor reduced for a brief period of time. 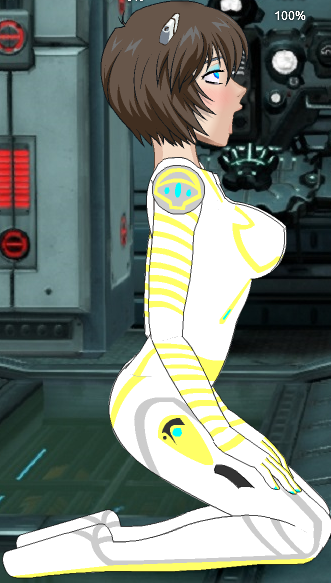 This is meant as a body suit without the helmet. While I know this technically goes against Warframe's canon, that won't be stopping me any time soon.